Rainmaker Advertising has served as WaterTower Theatre’s agency of record for more than 20 years. We enjoy partnering with this iconic regional theatre as they promote their vital mission of opening minds with a diverse mix of plays and educational programs. 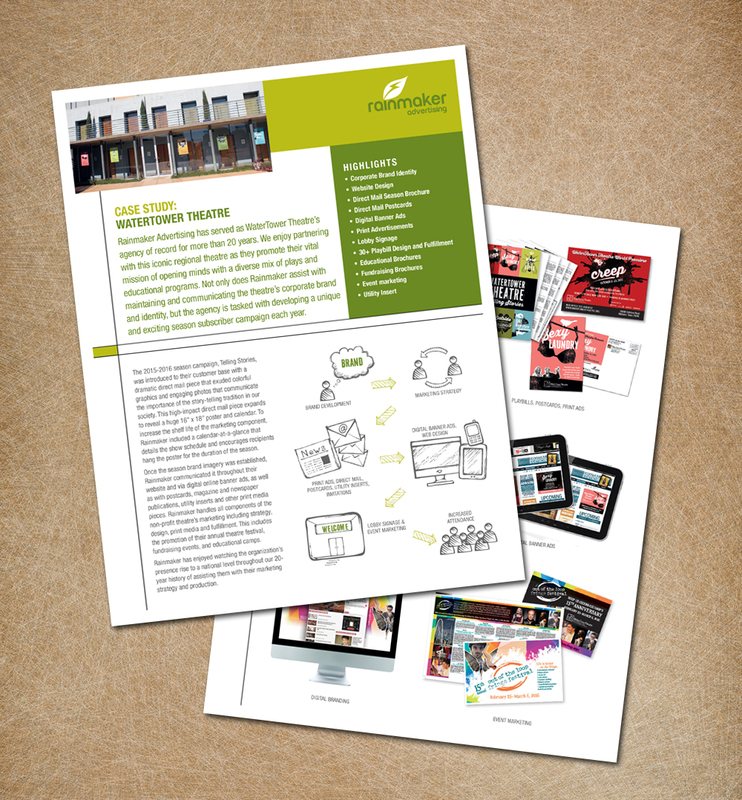 Not only does Rainmaker assist with maintaining and communicating the theatre’s corporate brand and identity, but the agency is tasked with developing a unique and exciting season subscriber campaign each year.